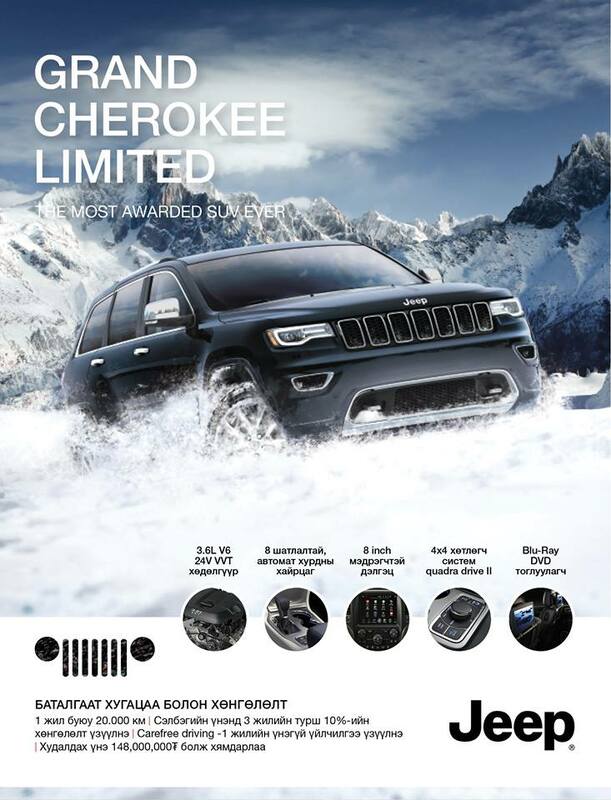 Offering the award-winning 3.6L Pentastar® V6 engine, its exceptional performance and luxury confirm why the Jeep®Grand Cherokee is the best of what we're made of. You also can get familize with leasing terms and conditions. For more please visit www.msmgroup.mn or call us +(976) 7718 1111.